The world's top thrower in this growing sport is right here in Denver. It’s official: We have a world champion in our midst. On Dec. 15, Denver’s Ben Edgington took first place in the World Axe Throwing League championship in Chicago, making the 30-year-old the top-ranking competitive axe thrower alive, with two more Denverites finishing just behind him, 31-year-old Eric Enriquez in fifth place, and 34-year-old Tobias Macera in 10th. It was a banner year for the sport—nationally televised on its own (outside of lumberjack competitions) for the first time—as well as for Edgington himself, who outscored 63 challengers from around the world, including throwers from Germany, Ireland, Canada, Brazil, Australia, and Spain, to claim the title and a $5,000 prize. It’s an accomplishment, Edgington says, that didn’t come easily. “We practice as much as, if not more than, any other two people in the country,” he says of himself and Enriquez. “We work during the day, so our training sessions usually happen between 8 and 11 at night. A normal training day is four hours of straight throwing.” And those working hours during the day? 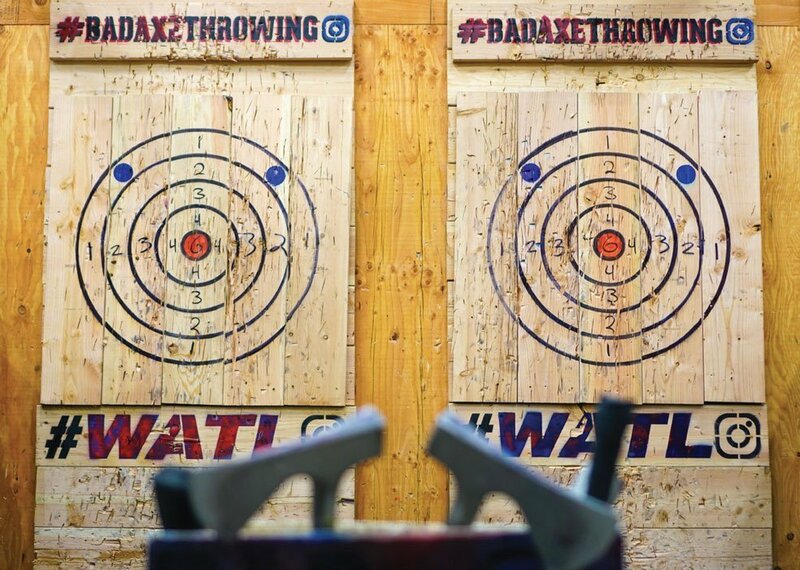 In a way, that’s training too: Edgington and Enriquez are both employed at Bad Axe Throwing, an international chain of throwing facilities with a location in Denver. 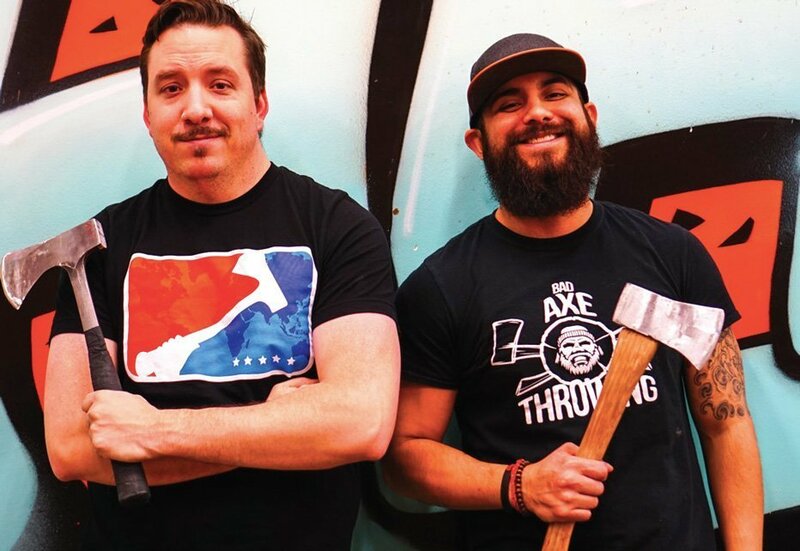 Edgington is the company’s operations manager; Enriquez is an “Axe Master” whose job, among other things, involves coaching guests and hosting events. To qualify for the world championship, a thrower must win a regional tournament sponsored by a facility registered with the World Axe Throwing League—bracket-style competitions held four times a year, each at the end of an eight-week season. Though it was created only two years ago, in 2017, and has hosted only two world championships so far, the World Axe Throwing League is adding to its roster of affiliated organizations at an amazing clip, with more than 80 recognized throwing facilities in 15 countries currently on board. “It’s a sport on the rise,” says Edgington—one infused with the same sense of excitement and camaraderie that defined early snowboarding. 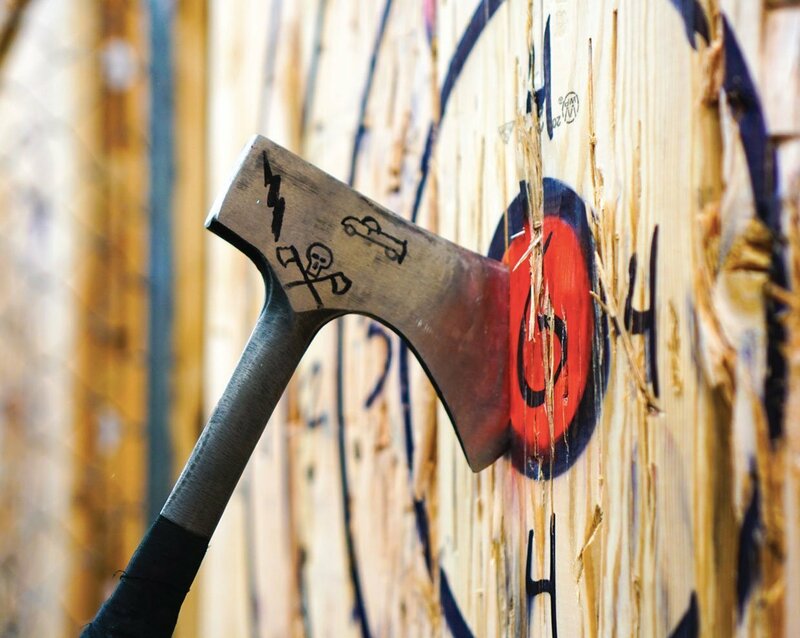 “People tend to learn fast, and if they’re into it, they’re really into it.” Edgington himself, who worked in high-end photographic printing in Denver for six years after graduating from college, had never thrown an axe in his life when Bad Axe Throwing hired him in October of 2017. It took him only two months to become manager of the Denver location, which has grown its league roster (thanks, in part, to his enthusiasm) from eight people to over 40. “The eventual goal,” Edgington says, “is to make axe throwing an Olympic sport.” That may be a long way off, he admits, but if this year’s championship is any indication, the global interest is definitely there. Maybe someday Edgington will add Olympian—perhaps even gold medalist—to his list of titles. Until then, world champion will have to do. Bookings start at $20 per person per hour, with discounted corporate rates and package deals.